$13,000 price reduction from already good price for lovely home in Woodhaven. New front porch added in 2017. From the foyer turn left to the living room/study (potential main floor bedroom?) or right to the formal dining room. The entire back of the home is your eat-in kitchen and great room. The kitchen has like new Corian countertops and backsplashes - even behind the stove - and a JennAir stove with griddle and grille. The great room has built-in shelving with adjustable shelves for you to customize, along with a wood-burning fireplace, whose chimney was just cleaned. There's a 200+ square foot sunroom that was added. It has its own heating and cooling system + new skylights in 2018. Sunroom windows crank out. Half bath on main as well. Upstairs you'll find a master suite with big bath and giant walk in closet. There are 3 other bedrooms - or 2+ a bonus room/playroom or office as you wish. The laundry is on the upper floor. Downstairs is a basement with outside and internal entries. There's a half bath here as well. Easy to finish off a kitchen and rooms as an in-law or caregiver area. Current owner used it for trains and crafts. There are 2 decks - one off the sunroom and one nearer to the stream. The lawn is well established Zoysia and there is a remote controlled irrigation system. Comments from the owner: I had always wanted bedrooms upstairs and I always enjoyed having them separated from the living areas. As the house is now situated, we used the upstairs as 2 bedrooms sharing the one bath, the master bedroom and its bath, and the room over the garage as an extra den/TV room. With all the bedrooms being upstairs and the laundry room there also, it leaves the main floor for daily "living" activities without the concern of personal space being seen. If someone added a shower to the 1/2 bath on the main floor, they could convert the “office” to another bedroom if desired.The basement's largest area is ample for pool table/ping-pong table or other entertainment features. The room where the furnace and water heater are located has space for a weight room area. We used the room at the bottom of the stairs for a workshop---cabinets stored hand-held tools and accessories. Would be ideal for craft activities also. For the more ambitious, the basement could be converted to an apartment by enlarging the bathroom and dividing the large area into 2 rooms - (living/bedroom) and modifying the "workshop" to a kitchen. Woodhaven is a subdivision within the city of Athens, Georgia. There are currently 2 Homes for Sale within Woodhaven, with asking prices ranging from $289,900 to $289,900. The average list price per square foot of the available inventory in Woodhaven is $125, which is below the Athens average of $218. The Average Sales price of all sold real estate in this subdivision for the past year is $254,171. Recent comparable homes have been selling for 93.73% of their asking price. Waterfront homes represent 0.00% of the available Woodhaven inventory. The population of Athens, according to the 2010 Census, is 115,452. The total number of households in the zip code of Woodhaven is 16,955, with an average household size for of 2.33 people. The total number of renter households within the zip code of 30606 is 9,063, which means that 46.55% of households in this zipcode are owner occupant households. 380 Woodhaven Parkway, Athens GA 30606 is a Home, with 4 bedrooms which is recently sold, it has 3,575 sqft, .51-1 sized lot, and Attached,Garage parking. 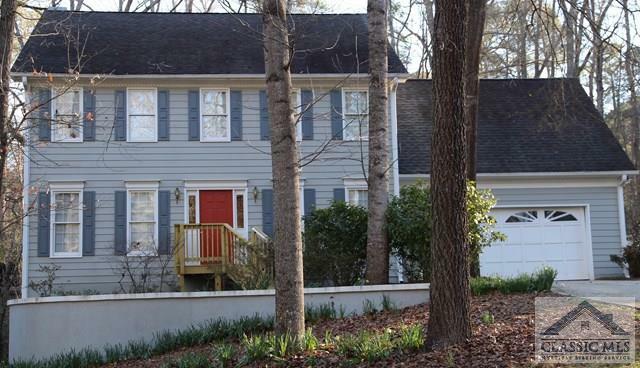 A comparable Home, has 4 bedrooms and 2 baths, it was built in and is located at 125 Woodhaven St Athens GA 30606 and for sale by its owner at $ 289,900. This home is located in the city of Athens , in zip code 30606, this Clarke County Home, it is in the Woodhaven Subdivision, and Bedgood Glenwood are nearby neighborhoods.